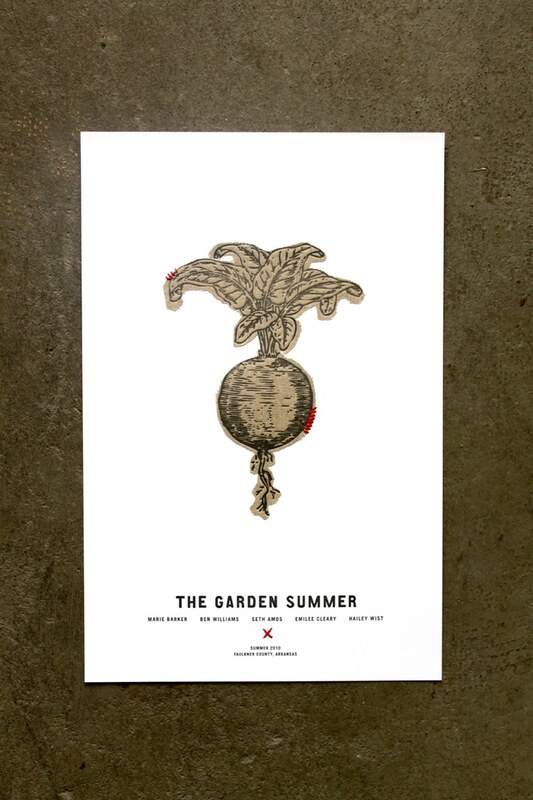 The Garden Summer « Stitch Design Co. In the Summer of 2010, Hailey Wist invited four suburbanites to a ranch in rural Arkansas. They lived in a small cabin, grew a large garden, ate only from a 100-mile radius, sold at a local farmers market, and hosted a field feast. The Garden Summer project was a grassroots, community-based, social experiment. On February 9, 2012 the documentary they made of that summer premiered at The American Theater in Charleston. We designed these posters for the much anticipated event. The poster design and execution was a multi-step process. 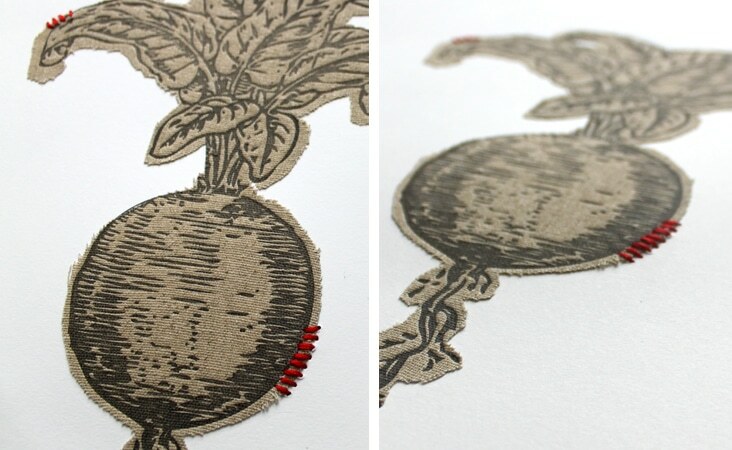 We cut fabric turnips that we then stitched to card stock and then letterpressed overtop of the fabric. It was a labor of love, but we’re so happy with the simplicity and dimension of the posters. And, we can’t forget to mention, the film was excellent! It will soon be traveling to a film festival near you and is a must see! Love the stitch accent! Beautiful combination of techniques. Wow. This is so gorgeous. I love much about it, and can see a collection of produce-themed posters being a hit elsewhere. I bet the SFA would dig it too. 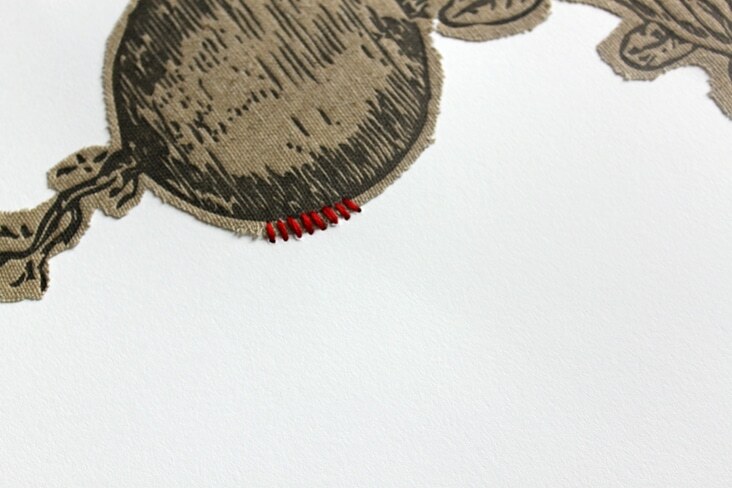 Also, the red thread makes me think of a baseball, which I love.